How about a technique tutorial ON THE FLY. 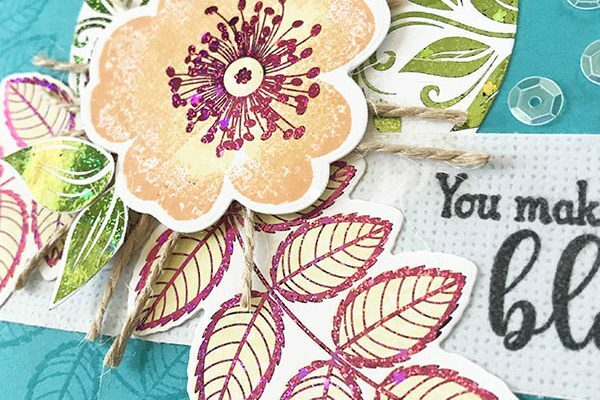 Today’s quick tip is all about wet washy stamp effects to create patterned paper. 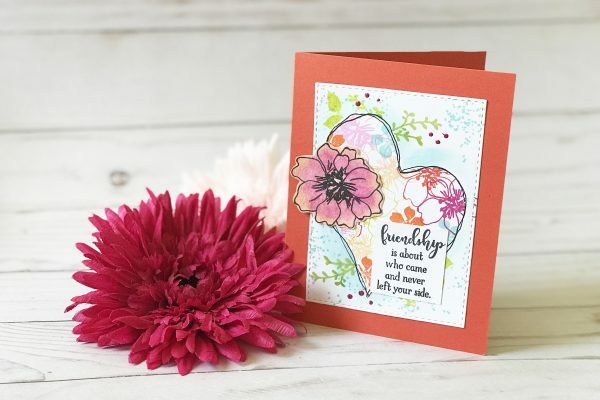 Today’s card tutorial has a little bit of masking, free-range stamping and watercoloring. I’m also sharing a fun technique to help make watercolor’s more opaque. It’s a fun one and super easy to make. How about a technique tutorial ON THE FLY. 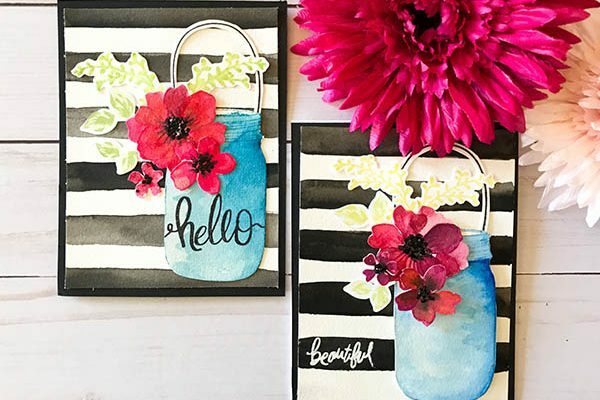 Today’s quick tip is all about creating patterned paper with water-based markers. Welcome to the NEW 2018 Color Release with Gina K Designs. Holy smokes I’m super excited. Super excited! I know I say that a lot, but seriously… I AM! The colors are bold, bright and exploding with happy. Lot’s of inspiration to share and a video too. 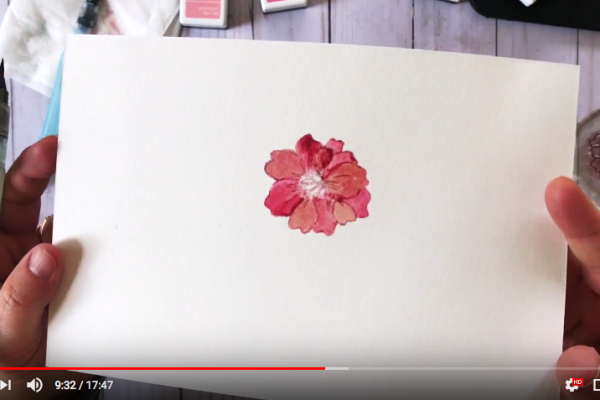 In this card tutorial video, I’m sharing how to create this single-layer card that’s big on COLOR dimension and whimsy. 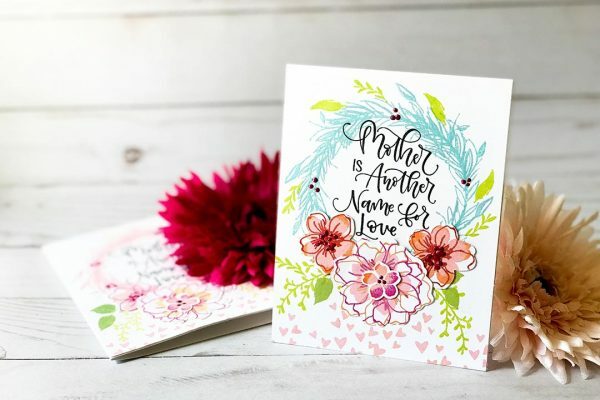 It’s the perfect card for Mother’s Day or anytime. How about a technique tutorial ON THE FLY. 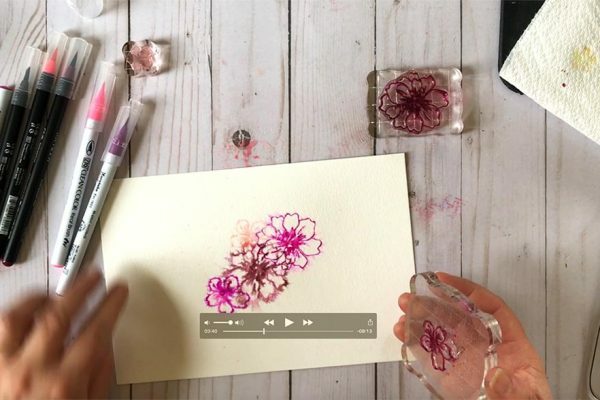 I thought it would be fun to launch a QUICK TIP video shown you how to achieve watercolor effects using dye-inks. You don’t have to have “all the watercolor paint out there” to create something you’ll LOVE. Trust me. 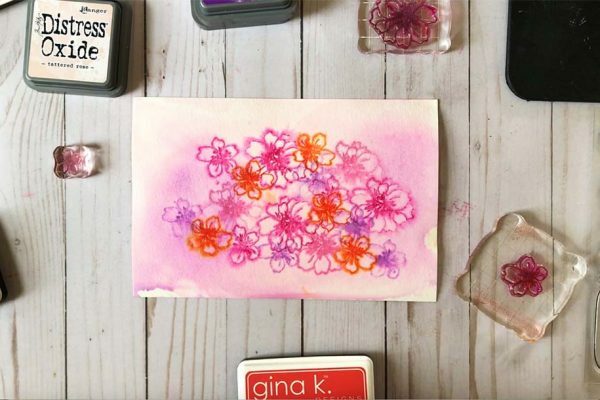 Today’s tutorial is all about Watercolor fun with my new stamp set Hello Beautiful with Gina K Designs. 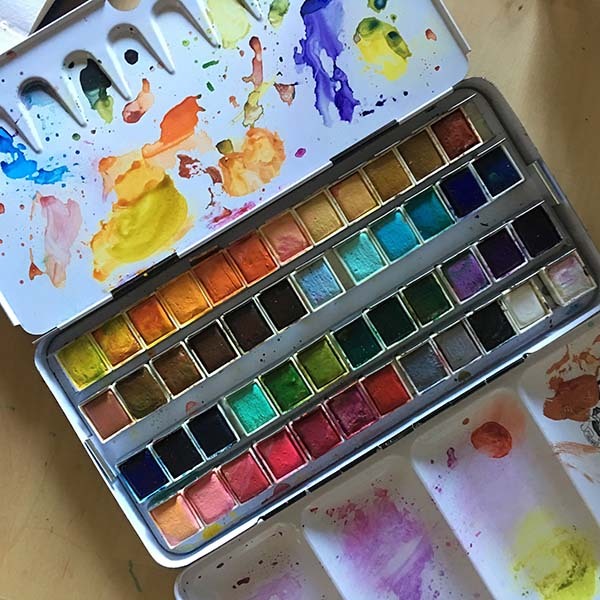 In this video, I share, show and get a little geeky about some of my favorite watercolor paint supplies. I’m also sharing a bit on how to use watercolor for your cardmaking and papercrafting projects. Super excited! 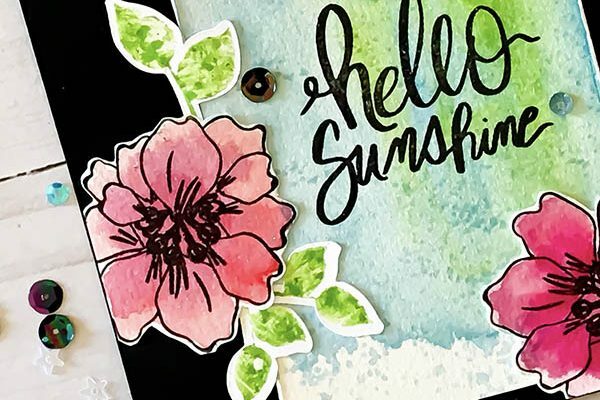 It’s day 2 of the Gina K Designs March preview and I’m introducing my new stamp set release, Hello Beautiful! 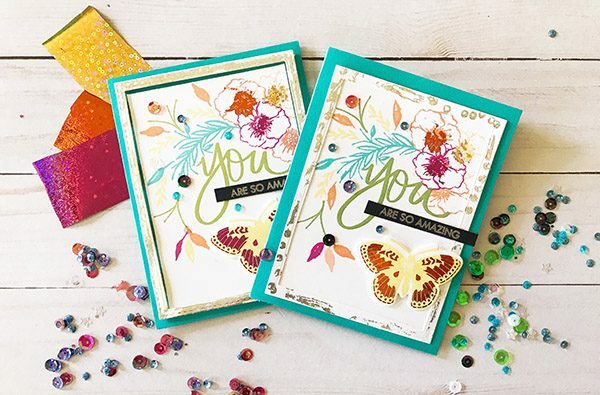 In this week’s Craft Your Joy video, I create a super simple, sparkly card that’s big on shine using foils and a bright color palette. This card is a happy one. Put on your sunglasses before you come in because the super SHINY goodness is absolutely GLOWING. I’m showcasing the new Stamp-n-Foil release by Gina K Designs and I’m not gonna lie… I’m smitten. Did I mention twinkling with PINK?